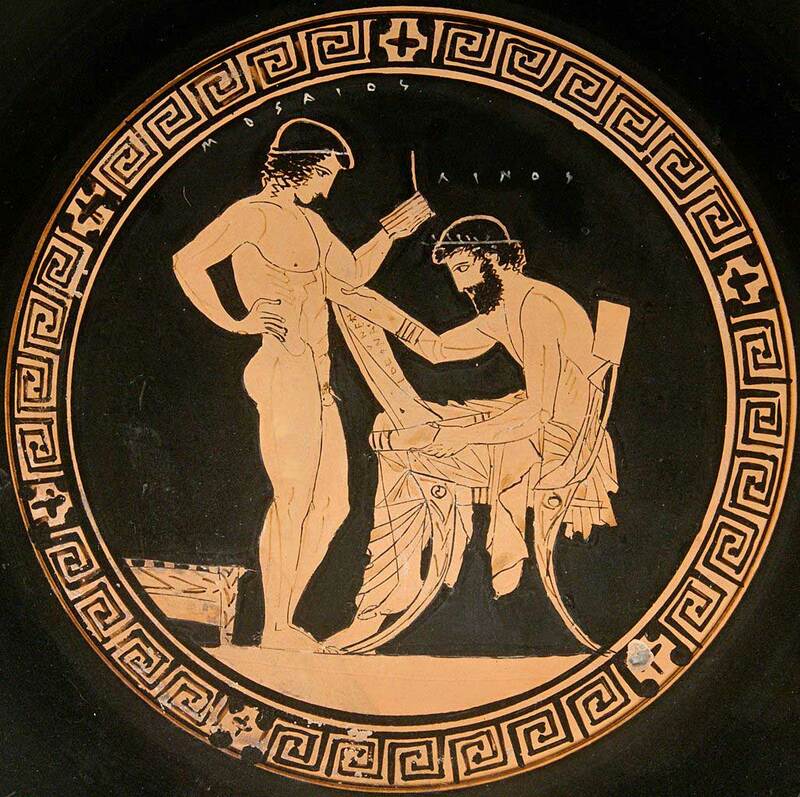 Red-figure cup by the Eretria Painter: Linos (named, on the right) holds a papyrus roll while his pupil, Mousaios (named, on the left), holds writing tablets. Tondo from an Attic red figure cup. c. 440-435 BC. Louvre Museum, Paris. Dr Rosie Harman (University College London/Early Career Fellow, BSA) will address the topic “Xenophon and the politics of reading”.